Buddy Stubbs Harley-Davidson is the premier Harley-Davidson motorcycle dealership serving Phoenix and the metropolitan area. Buddy Stubbs Receives Bike Week Hero Award! Many of you joined us on Wednesday, March 28th while Buddy Stubbs received the AZ Bike Week Hero Award. AZBW put together a great story of Buddy with some great old photos! Below is that story..
Few people can say, as Buddy does, that they were literally born into a life of motorcycles. Buddy’s parents owned a Harley-Davidson dealership in Decatur, Illinois and Buddy “rode” before he walked. He was actually born in his parent’s Harley dealership and lived there, sleeping in a drawer, until they could afford a crib. Buddy often helped when his father participated in motorcycle hill climbing events. His greatest ambition was to be a motorcycle racer. His father taught him to ride at age 10 and he won his first trophy a year later. His first big win came at age 21 when he took the checkered flag on a 1961 KRTT 750cc at a TT event in Peoria, IL in 1961. 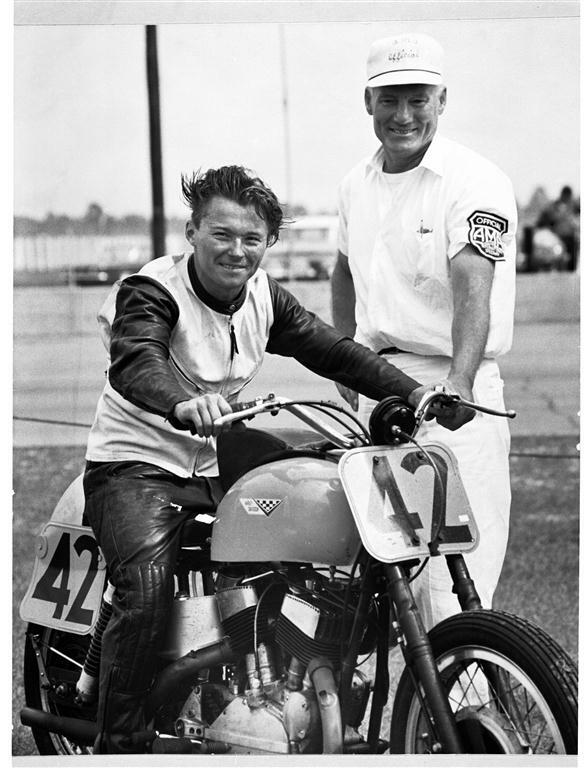 After relocating to California, Buddy continued his racing career and became a familiar sight on Harley race bikes, carrying the No. 42 plate. He went on to win the Daytona 100 mile race in 1963, as well as many other events. His last race was in the Baja 500 in 2003. While Buddy was growing up and living his dream of being a motorcycle racer, a little motorcycle store was plugging along in Phoenix, at the corner of McDowell and 25th street. A man by the name of Bill Kennedy had been awarded Arizona’s first Harley-Davidson dealer franchise in 1928. Bill ran the store for many years with great success. In 1958 Bill decided to also distribute Yamaha motorcycles, which were new in the market. Harley-Davidson Motor Company frowned on this and later canceled the dealership license. The license was then awarded to Alex Robinson and Hugh Olerton, both Bishops in the Mormon Church. Hugh sold out to Alex in 1963 after deciding that they could not both make a living at the store. Business continued to get worse and Alex eventually resolved to sell the dealership. Alex asked Harley-Davidson Motor Company to help him find a buyer. He enlisted the assistance of Walter Davidson, who was the son of founder Arthur Davidson and president of the motor company. Walter made a call to his long time friend Buddy Stubbs to see if he could help. He asked Buddy to run the dealership until a buyer could be found. Since Buddy’s racing career was winding down and he was looking for his next great life adventure, he accepted. Buddy moved to Phoenix, bought a trailer home that he setup behind the store and began running the dealership. The store consisted of Buddy, his wife and 2 employees. Walter Davidson searched for a suitable buyer to purchase the store but after only a month realized he’d already found his man and decided to make Buddy an offer he couldn’t refuse. Walter offered to co-sign loans totaling $175,000 so Buddy could purchase the store. The rest is history. Under Buddy’s expert guidance, the long time struggling dealership rose to enormous success. We consider him to be the founding father of the motorcycle community in the state of Arizona. He’s been our Phoenix Harley dealer here for 46 years. 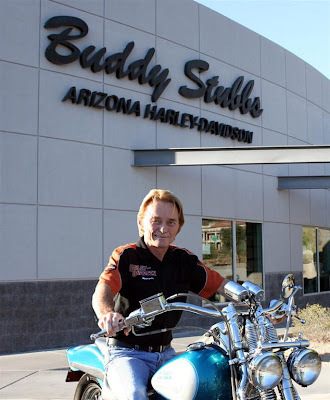 Although five other dealerships now dot the Valley of the Sun landscape, Buddy Stubbs remains the only Harley-Davidson dealer within the Phoenix city limits. The store moved to Cave Creek Road in 1985 and in March of 2005, they relocated into their current 47,000+ sq ft dealership at 13850 North Cave Creek Road. A 3,000 square-foot wing of Buddy’s Phoenix dealership was specially built as a museum to house his impressive personal collection of classic and vintage motorcycles, dating back to 1903. The Buddy Stubbs motorcycle museum is the only such museum in the entire state of Arizona. Free tours are conducted every Friday evening and at midday on the last Saturday of the month or at special events. Buddy himself sometimes conducts these tours. He really loves his collection of bikes and has a personal story to tell about many of them. Buddy Stubbs continues to own and operate the business with the help of his two sons, Frank and Jack. In addition to his Phoenix location Buddy has a second store in Anthem. Buddy Stubbs and team realize customer satisfaction is top priority when running a successful business. Buddy remains the only person from Arizona to ever be nominated for both The Sturgis hall of fame and the AMA hall of fame. We are honored to pay tribute to this year’s Arizona Bike Week Hero, Buddy Stubbs. Ahwatukee, AZ. Stop in and visit us.